I attended the HeLF (Heads of eLearning Forum) meeting on 14th March at the Council Chambers at MMU. This is a national group with representation from almost every institution within the UK. Roger Emery from Solent University on how they work with others in institution with respect to effectively supporting and delivering the PG Cert. Pam Parker from City on how they ensure overall sustainability of the innovative LTA models implemented within your PG Cert and of the technologies which are shown and showcased and how are staff encouraged and facilitated to adopt these practices day to day. Jane O’Neill from Leeds on how they support the continuum of academic practice – pre-PGCert (GTAs, etc) and post-PGCert (MAs, etc), links to CPD generally, links to staff personal development planning, links to promotion based on learning and teaching rather than research. 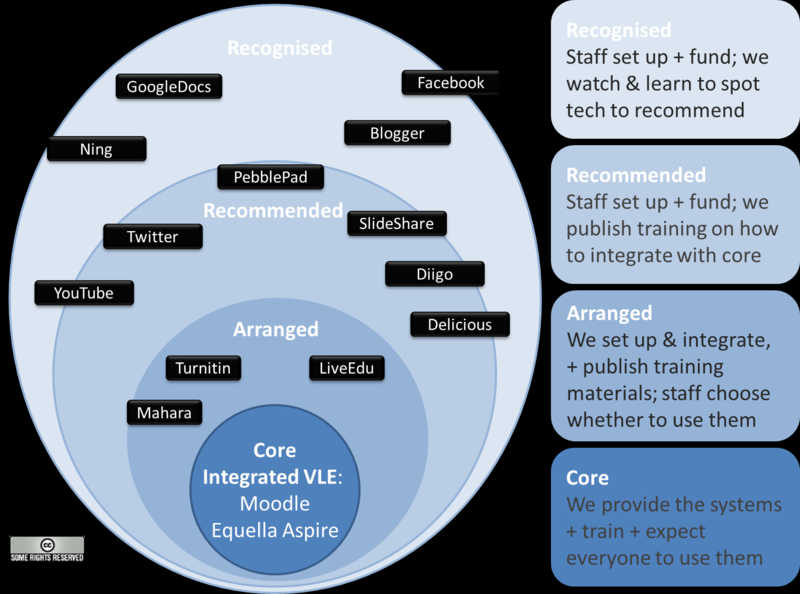 These presentations demonstrated the range of different ways that e-learning can be used to support PG Certs, and importantly, the benefits of using them strategically as an exemplar to staff of the possibilities with e-learning. I can access these presentations if anyone is interested in finding out more. The rest of the meeting covered more general HeLF business. These are useful meetings as it’s important to find out how colleagues in other institutions are getting addressing similar issues.